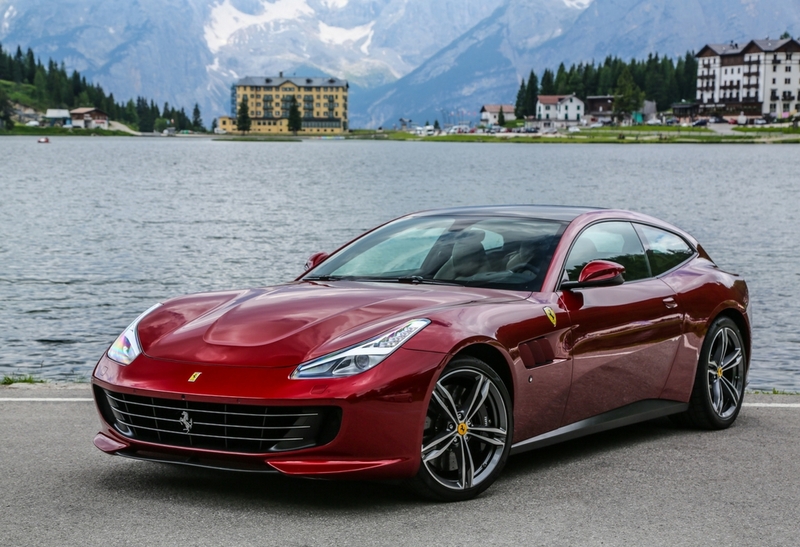 The 2018 Ferrari GTC4Lusso is practical and authentic, but most will buy this car for its distinctive shape, its steering/drive system and, ultimately, its badge. Powerful yet sophisticated, sporty yet luxurious, Ferrari’s new 12-cylinder Lusso really does make every drive a thrilling experience. Whether the car is being driven solo or with all four seats occupied, the Ferrari Lusso redefines performance and luxury like no car before. 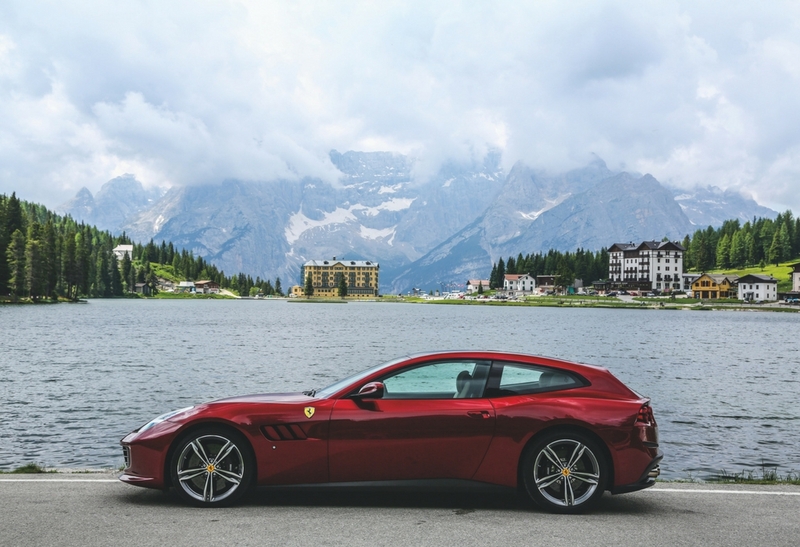 The Ferrari GTC4Lusso combines four-wheel drive with a four-wheel steering system to deliver truly sporty performance even in very low grip conditions. In short, this is a sublimely refined, stylish car that will get its occupants to even almost any destination in superb, luxurious comfort. The Ferrari GTC4Lusso is the updated version of the Ferrari FF. In this new incarnation, the number ‘4’ alludes to the car’s four seats, while the GT, as most car enthusiasts know, means ‘Grand Tourer'. Ferrari designed this car for clients wanting to experience the exhilaration of driving a Ferrari but in a luxury package: short spins and long journeys, snowy mountain roads and city streets, alone or in the company of three passengers. The car aims to please with its no compromise sporty elegance, impeccable detailing and legendary performance. The Lusso’s 12-cylinder, naturally aspirated 6.3-litre engine delivers velvet smooth and consistent power. And full throttle and 8,000rpm it punches out an amazing 680hp. It eats up the road fast but you never seem to notice how you got there. The car’s acceleration seems natural and not forced. Both its 2.6 kg/cv power-to-weight ratio and its 13.5:1 compression ratio set new records for this category of vehicle. Maximum torque is 697Nm at 5,750rpm with 80 per cent already available at just a lazy 1,750rpm for superb responsiveness even at low revs. The car’s new multi-spark ignition has added and additional 30bhp to pep things up even more. Even with more horsepower, the Ferrari GTC4Lusso is a bit quieter than its predecessor. 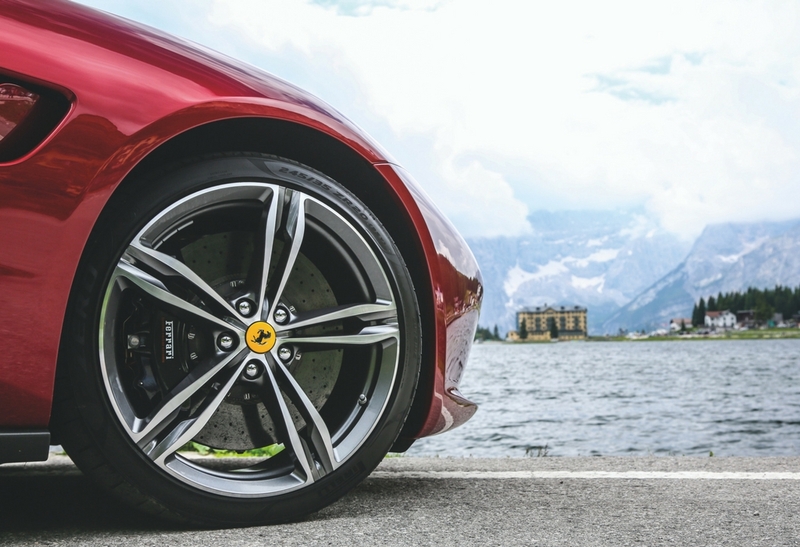 Ferrari has been listening to its customers, and they said they didn’t want it to be quite so grandiloquent in order to suit drivers who use the car daily. On this car the exhaust baffles stay closed more often and there is more sound insulation in the cab. Ferrari has also listened to customer feedback in other areas, as well. The steering wheel is new, now equipped with bigger pads for the headlights, wiper controls and indicators. Steering wheel controls include the ignition, the performance-mode dial, entertainment and the phone controls. And, if you encounter really rough roads, there’s a button that temporarily softens the magnetorheological dampers (magnetic fluid adjustable shocks) without requiring the driver to switch out of Sport mode. Now, the driver can activate any car system without taking their hands off the wheel. It’s a welcome touch. The infotainment system is intuitive, fast and well laid out—a real accomplishment particularly for a low-volume luxury carmaker. Pleased wives aside, The GTC4Lusso now offers 50 per cent more stowage space as an added benefit. The rear seats fold 50:50 while the boot holds a modest 800-litre maximum volume. To enjoy this sense of space even more Ferrari offers an optional panoramic glass roof. While this car is only a few millimeters longer than the original FF it looks substantially bigger. Still, in comparison, the size is not that much larger than that of a Mercedes S-Class. This car is the pinnacle of luxury and performance in one incredible package and well worth its $1.3 million price tag. The styling of the GTC4Lusso adds more drama and excitement to the surfacing, more sculpting of the body. To many, the FF looked like a long, thin car, but the GTC4Lusso appears to be a bit shorter and broader. While the track widths have barely changed, this car ‘feels’ shorter than its 4,922mm length. The four-wheel steering helps make the car drive as if it were smaller. As with all Ferrari cars, the outside of the car is a testament to the build precision the company has become famous for. Driving in the Cameron Highlands? This car could easily take on the roads leading up to the Malaysia’s Highlands, but the fact remains that hairpin turns and mountain conditions are not meant for a 1920-kg, long wheelbase Grand Tourer car. Still, the Lusso will easily handle these conditions like a smaller sports car. The dual-clutch transaxle is houses an electronically controlled clutch-type limited-slip differential. The GTC4Lusso stands out because of its all-wheel-drive system, which uses a two-speed gearbox driven directly by the crankshaft. The first speed is sufficient to cover the rear transaxle’s first to fourth gears. 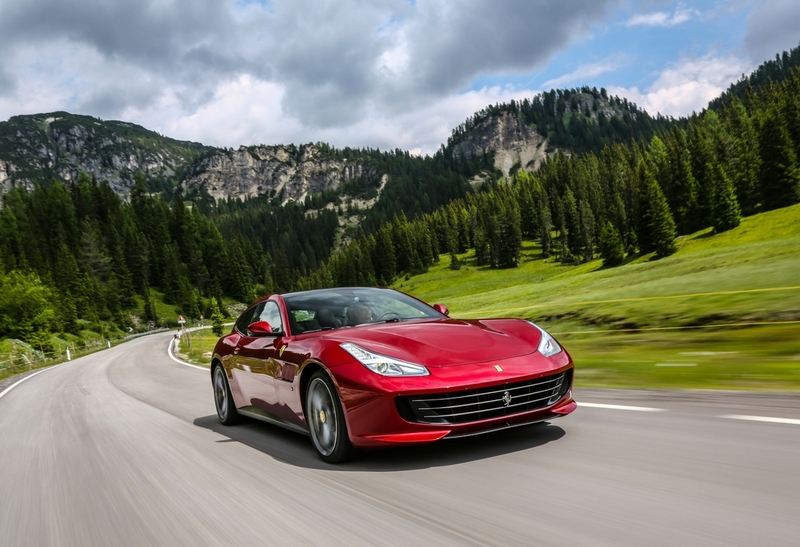 In fifth through seventh gears, the Lusso switches traction a rear-wheel-driver. Power still goes to the front but in a different proportion. The Lusso comes with a 7-speed, F1-derived gearbox, which is surprisingly passive, providing near-seamless shifts without the brute force and shifting shocks that often come with smaller race-inspired cars. In a word, this car hugs the road like a suction cup on a bathroom mirror. Another reason this car handles so well is its rear-wheel steering first introduced on the F12tdf, the system’s response depends on a number of variables, but most of the time it steers the rear tires in the same direction as the front. The Lusso will also do out of phase steering, where the wheels are not all in the same direction, to crab around tight corners. So, why choose between a Ferrari and a luxury estate wagon when you can get both in the GTC4Lusso? With its all-wheel drive, four seats, and a muscular 680-hp 6.3-liter V-12, it’s the best of all worlds. The new GTC4Lusso “T” swaps the powerful V-12 for a 602-hp twin-turbo V-8 and has only rear wheel drive. Ferrari claims the T will sprint from 0 to 100 kph just 3.5 seconds, only a tenth of a second slower than the V-12 version. 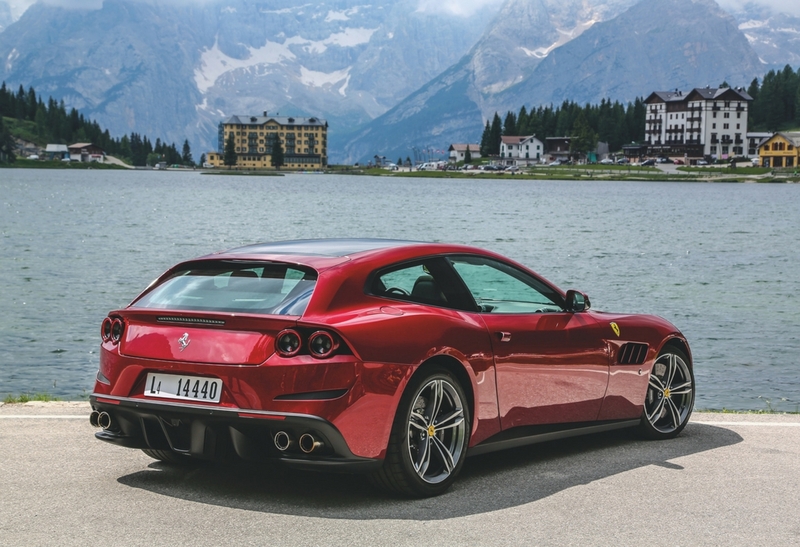 Both models have a seven-speed dual-clutch automatic and Ferrari’s stunning, shooting brake design. This car is the pinnacle of luxury and performance in one incredible package and well worth its $1.3 million price tag.